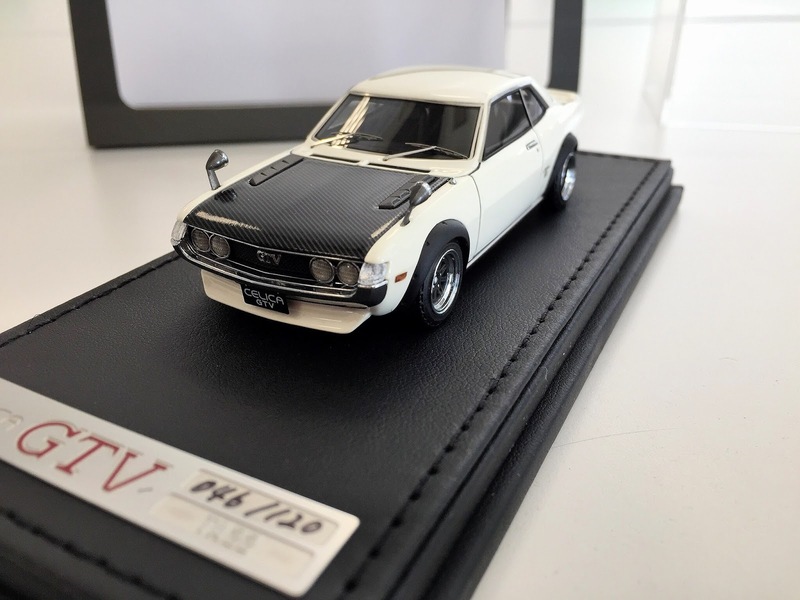 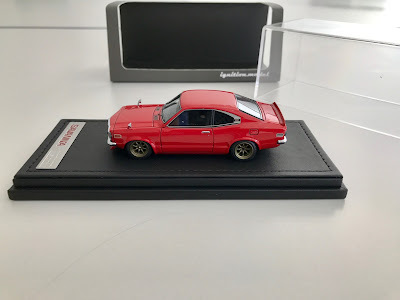 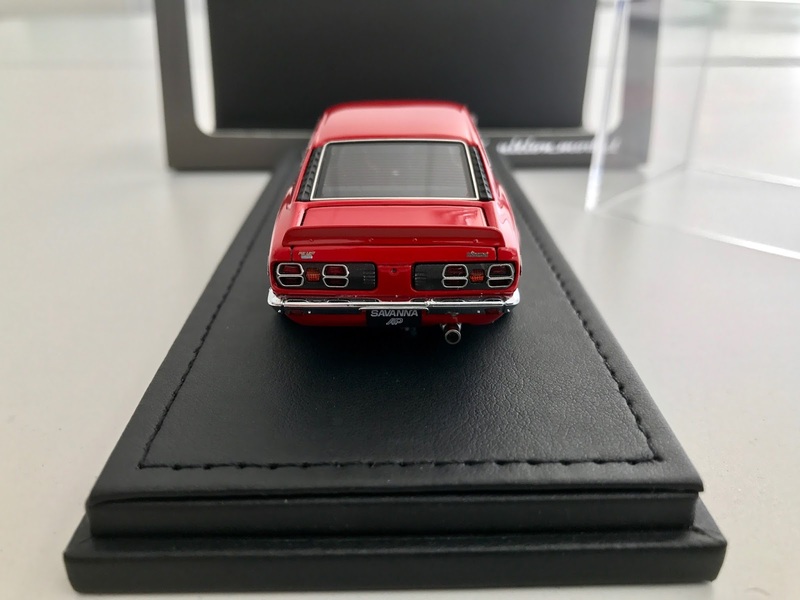 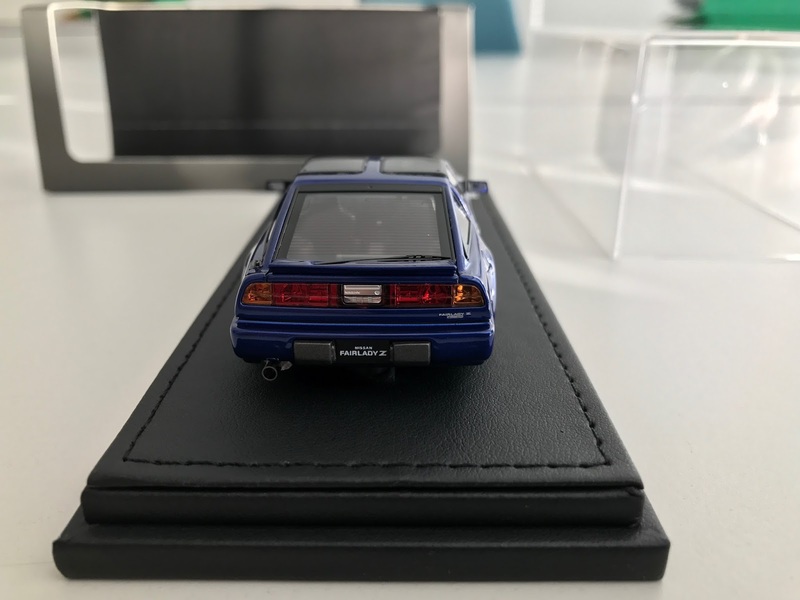 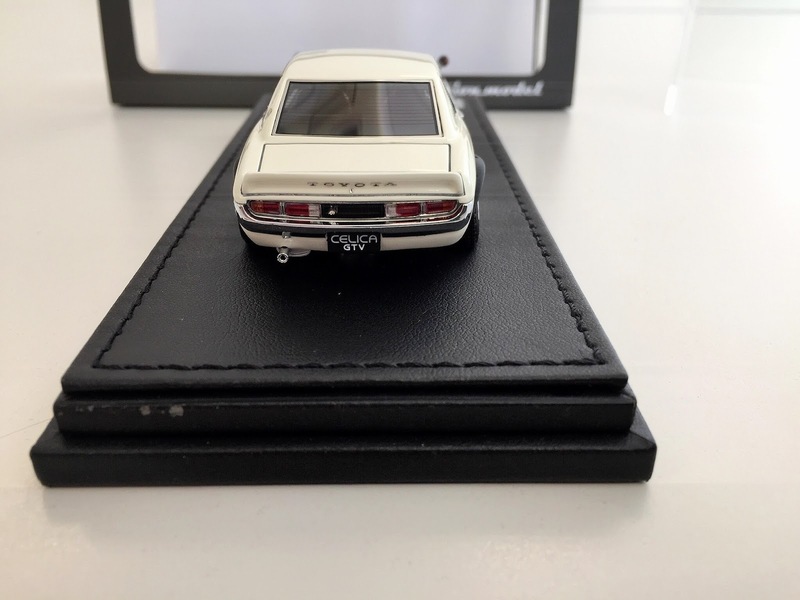 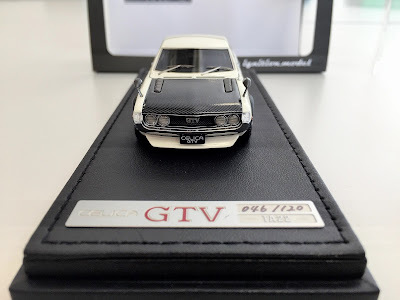 The Mitsubishi Colt Galant GTO 2000GSR (A57) is the latest addition to my collection and it is an impressive model indeed! 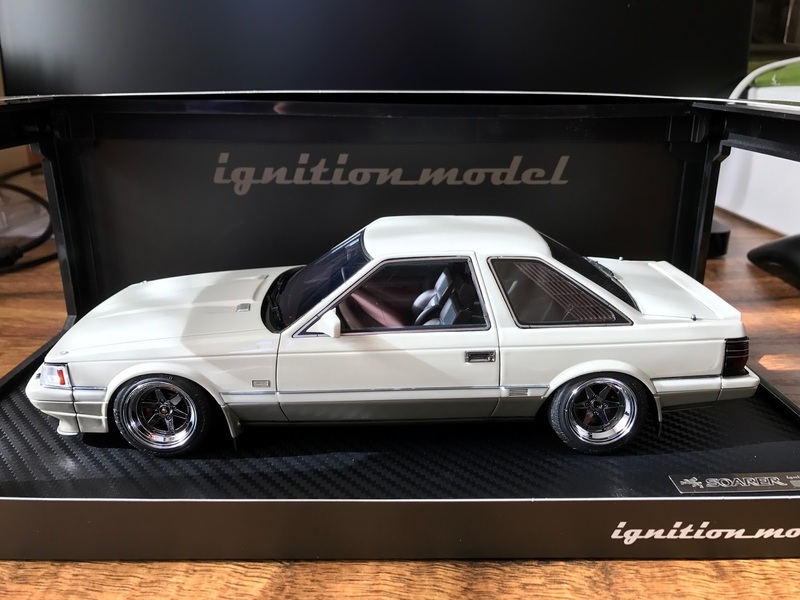 The level of detail is very high, including 14" Hayashi Street wheels, pulling tire & lowdown specification, front lip, front and rear fenders, genuine side stripes, dual muffler and Recaro seats. 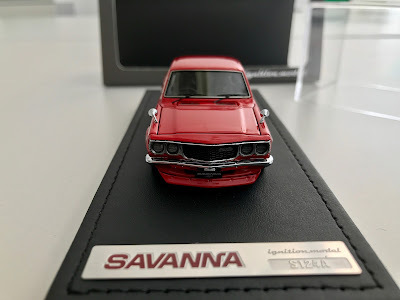 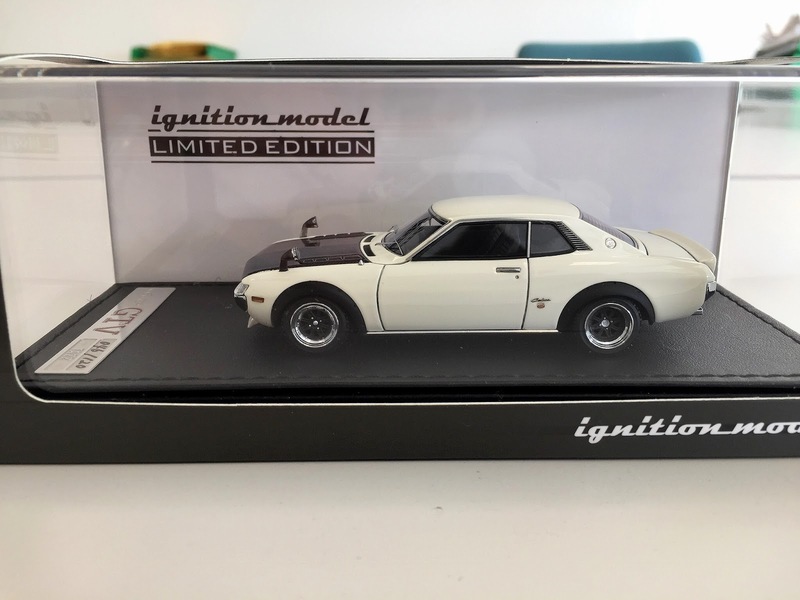 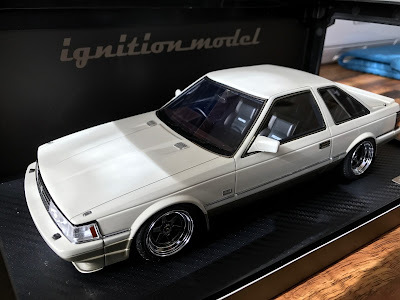 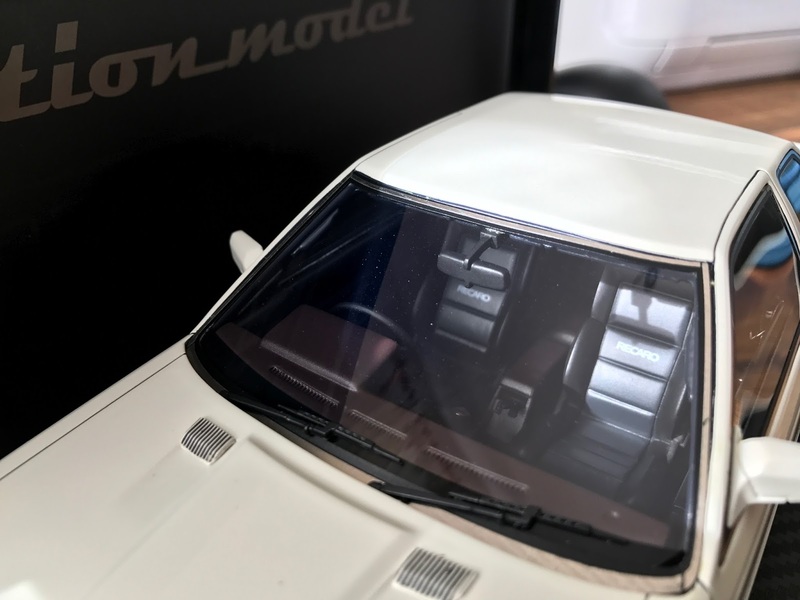 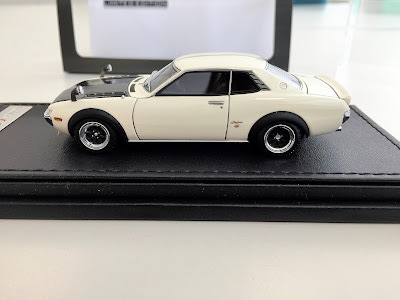 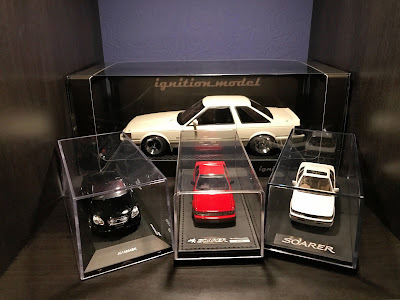 It has been really a long time since the last ignition model arrived from Japan, so it is very exciting to have this 1/43 Mazda Savanna (S124A) model in red added to my collection. The model has lowered suspension, Watanabe 14" wheels (bronze), front lip & rear spoiler! New Lexus LS officially revealed!!! 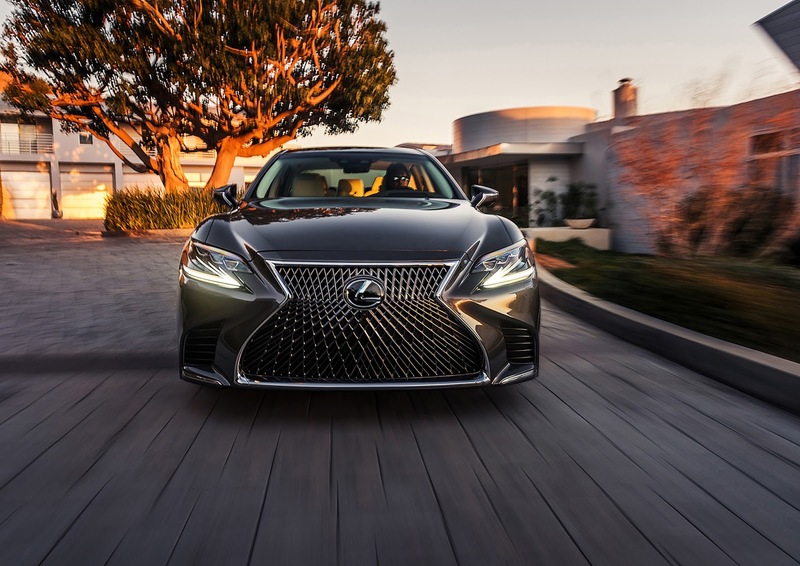 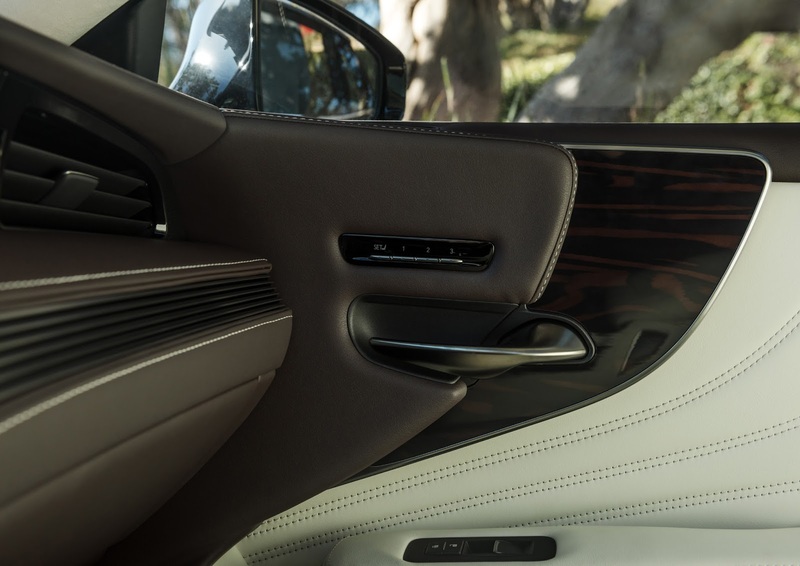 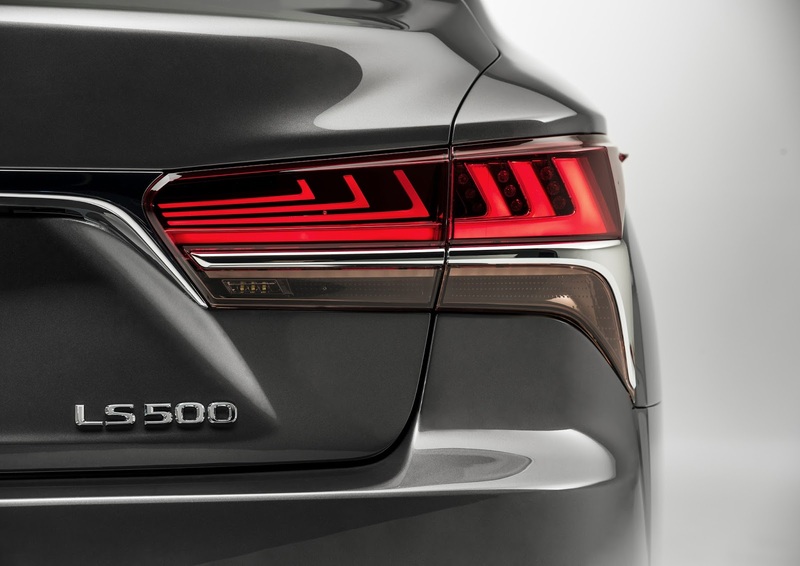 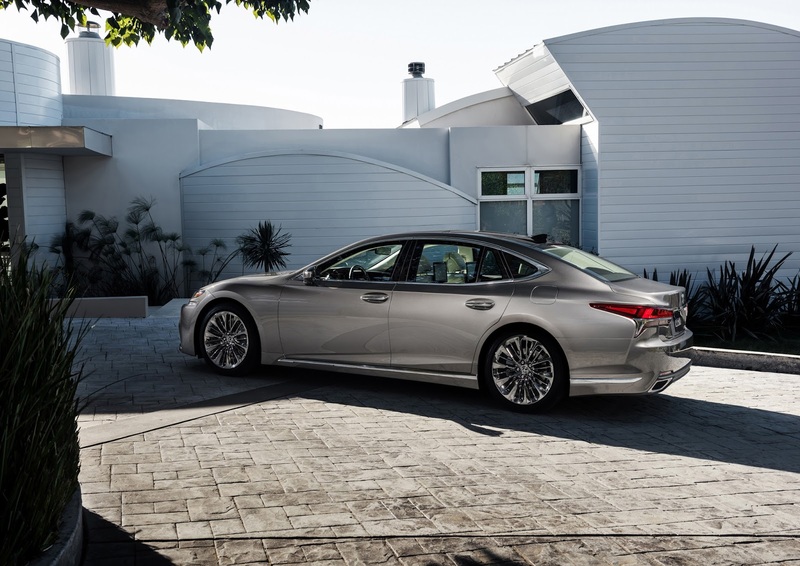 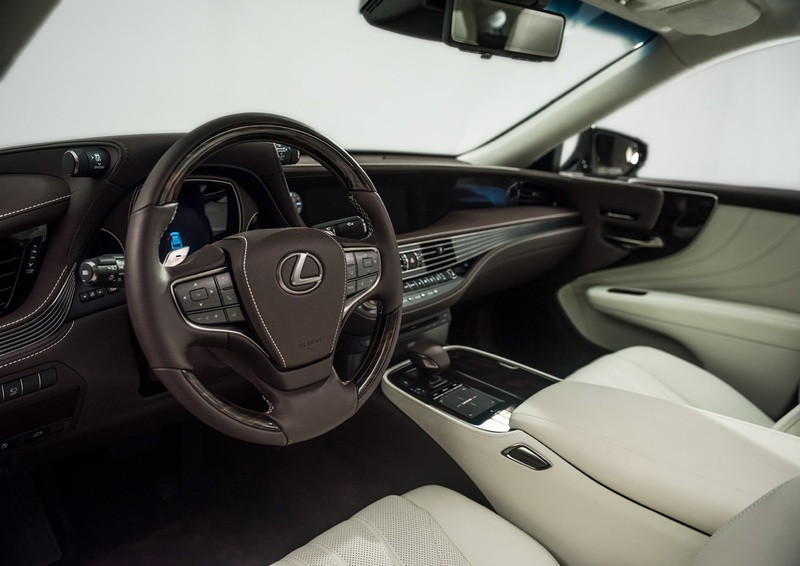 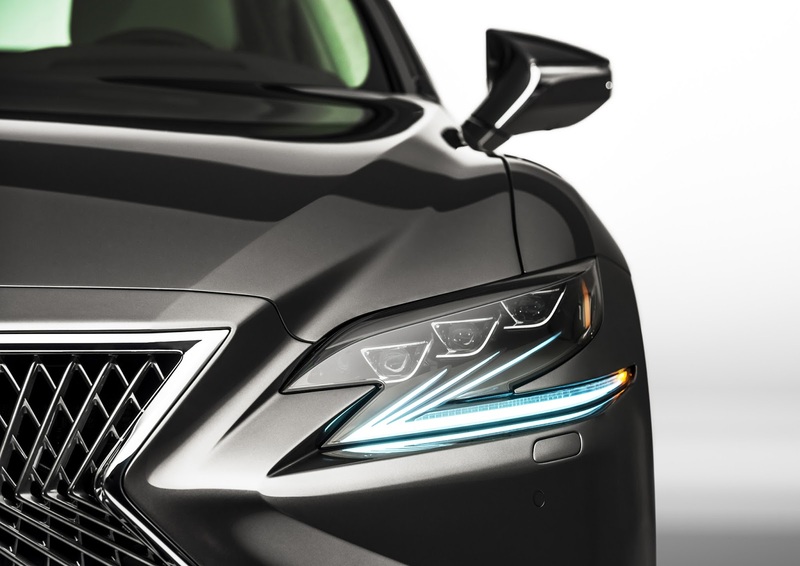 The all-new Lexus LS (previous post) was officially revealed in NAIAS and you can read the press release here. 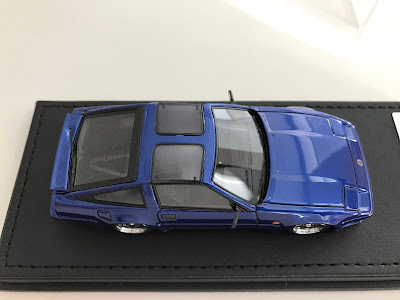 Although there is no point in reproducing what has been already released, it is definitely a beautiful car!!! The design is simply amazing, and along with the new Lexus LC, they are by far the best looking cars for sale on the planet! Last model received for the year is this amazing Mazda Savanna RX-7 (FC3S) by ignition model in yellow colour!!! 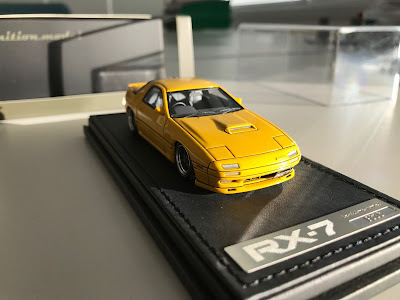 The model has lowered suspension, 16" wheels, aero mirrors, large-diameter mufflers and Recaro seats, and it does look the part when sitting next to my RX-7 (FD3S) ignition model! This is one of the last ignition models arrived from Japan for this year, and as usual, the level of detail is very impressive indeed! 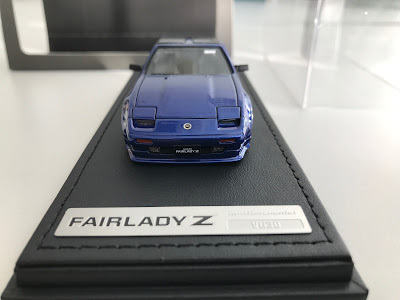 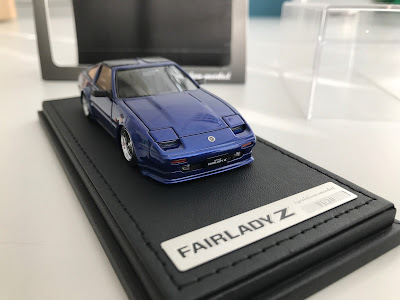 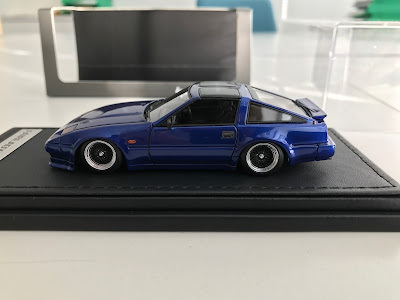 It is a very nice addition to my collection, especially when displayed next to the Z32 model I already got by ignition (earlier post). 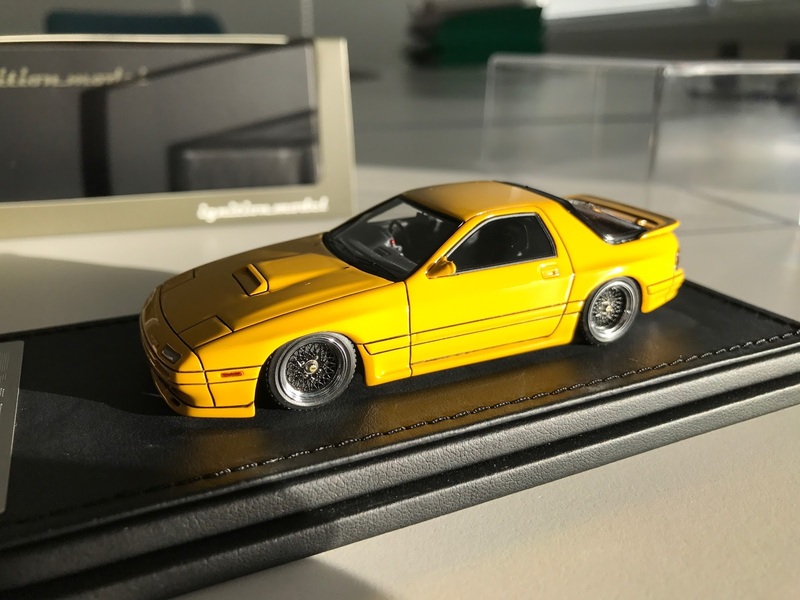 The specific model has lowered suspension, 16" wheels, front lip spoiler, rear spoiler, large-diameter single muffler and Recaro seats. Yet another beautiful model arrived! 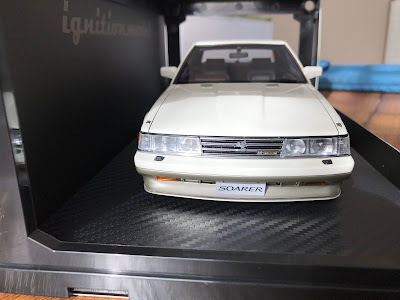 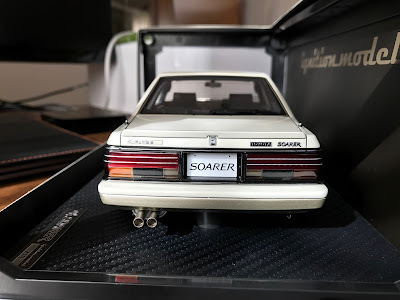 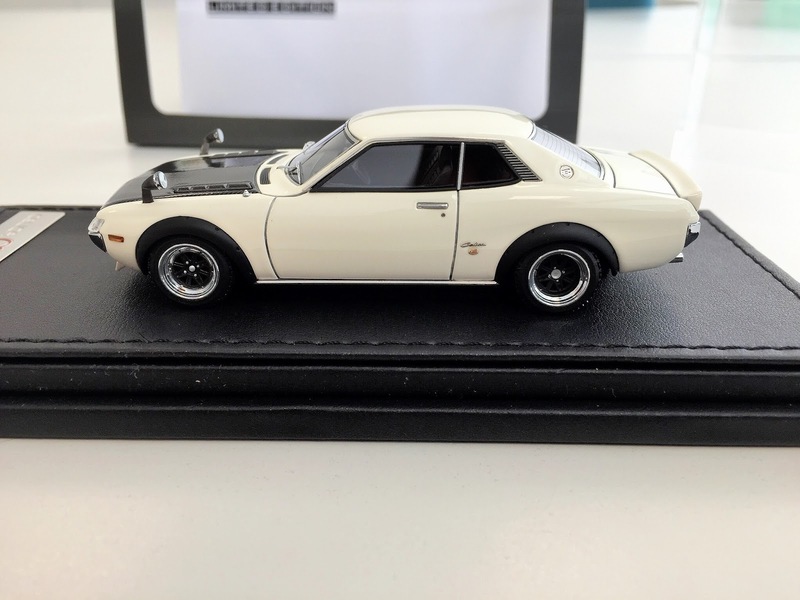 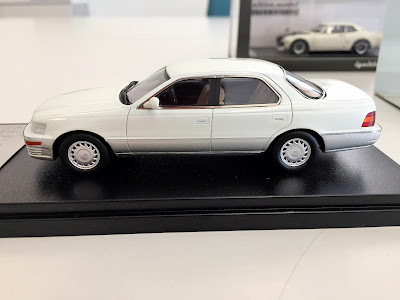 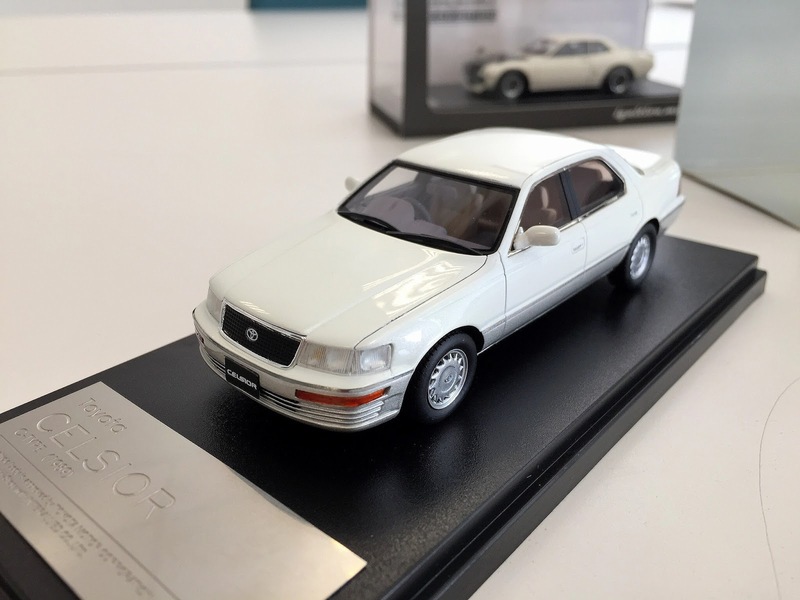 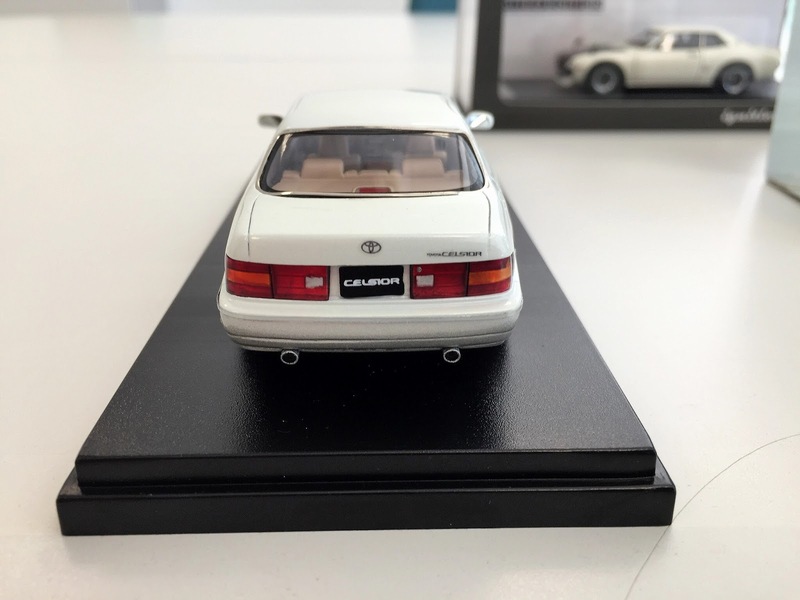 This is a Toyota Soarer 3.0 GT (Z10) White/Gold model in 1/18 scale by ignition model (IG0370)! 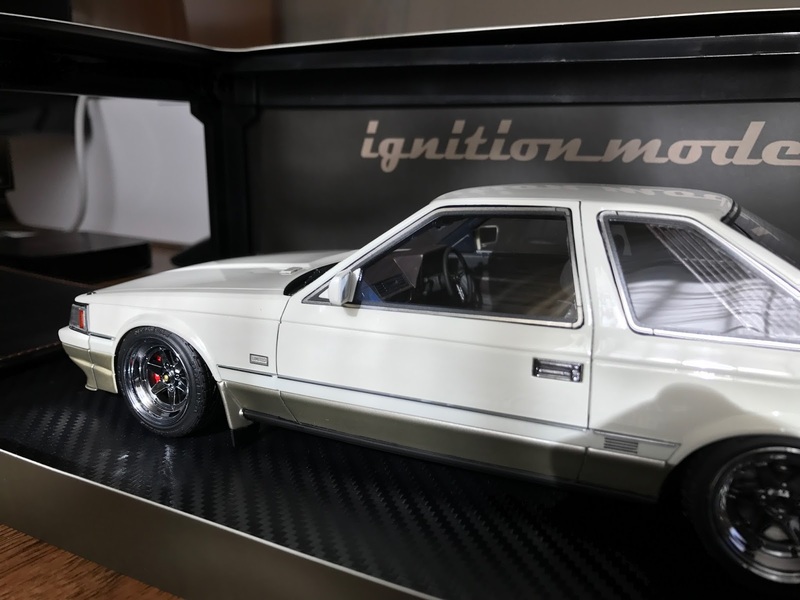 The specific model has lowered suspension, 15" wheels, front lip spoiler, rear spoiler and dual muffler attached! 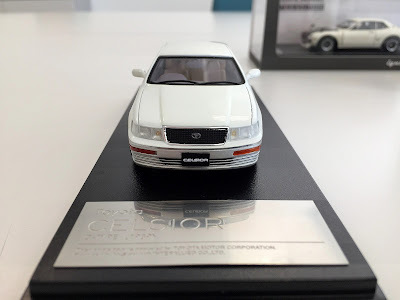 This Toyota Celsior C-Ttype 1989 model by Hi-Story is the second Celsior model added to my collection (earlier post) and I opted for the White Pearl Mica Toning G version. Unfortunately, photos don't do justice to the colour. Hi-Story models are handmade and for its price, I am very happy with it!